The haze is getting serious lately that the poor air condition we're having here is making me sick. Except drink more water to replenish and hydrate our body all the time, fresh juice is another solution too to boost our body immune system. Received a very delicate box from Tammy, courtesy of OnlyBeauty that I have no idea what awesome products are inside and it is from Juice Beauty. People nowadays are so concern about what they eat or drink so that they can improve their health through their lifestyle and eliminate all the harmful pesticides from entering their body. Beauty lovers can too, by using organic beauty products. Juice Beauty are made with certified organic ingredients, allow consumers to enjoy the benefit of beauty products made of high quality organic ingredients without the worry of unhealthy ingredients usage. Our skin absorb 64% of beauty products we place on it, so instead of using products which made from harmful ingredients, use products made with organic ingredients. Juice Beauty organic products gives better age defying and blemish clearing results than conventional products. Their clinical validation result showed up to 87% reduction of free radical scavenging on skin's surface. Time to say goodbye to wrinkles and sunspots! Juice Beauty is so good that I can drink it. Cleansing gel, oil free moisturizer, blemish clearing serum and stem cellular repair moisturizer. Come to think of it, Juice Beauty is the first organic beauty products that I get in touch with, and I'm glad that I get to know more about Juice Beauty through OnlyBeauty. They have the highest percentage of organic ingredients juice base. Every drop I use will be feed to my skin with powerful antioxidants, nutrients, vitamins, minerals and more! And that also includes jojoba, aloe, grapeseed, organic shea and 30 more organic juices which made Juice Beauty products contains very high level of goodness that are feed to my skin. 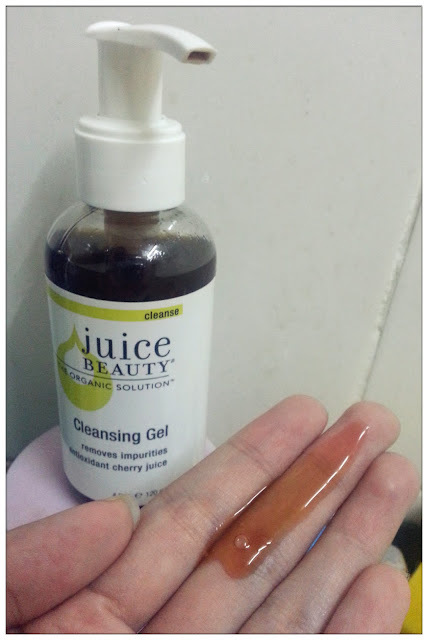 Juice Beauty Cleansing Gel - Antioxidant Cherry Juice. Today would like to show you the Cleansing Gel of Juice Beauty. Another thing I've been worry about is will these healthy beauty products smells bad, as if it smells like medicine or something that isn't appealing. NOT AT ALL I TELL YOU! I like the smell of their beauty products, it's very natural and full of cherry goodness. The cleansing gel is very lightweight and non-greasy at all, not in a very thick form, but easy enough to apply all over my face and start cleansing. Not much foam, but easy to rinse off from skin and therapeutic as well as the aroma lingers on skin surface. I can feel my skin is clean and feeling refreshing, not even slightly feel of tensed skin at all after cleansing, which proves that my skin is cleaned but moisturized at the same time, not over-dry and able to restore the balance of my skin condition. Juice Beauty's Antioxidant Cherry Juice Cleansing Gel is now one of my favourite cleansing gel after I found out that my skin absorb what I apply on, even during cleansing. The cleansing gel is gentle but still cleanse my skin thoroughly even after I removed my make-up. I strongly recommend this cleansing gel to all those organic beauty lovers who are reading this! 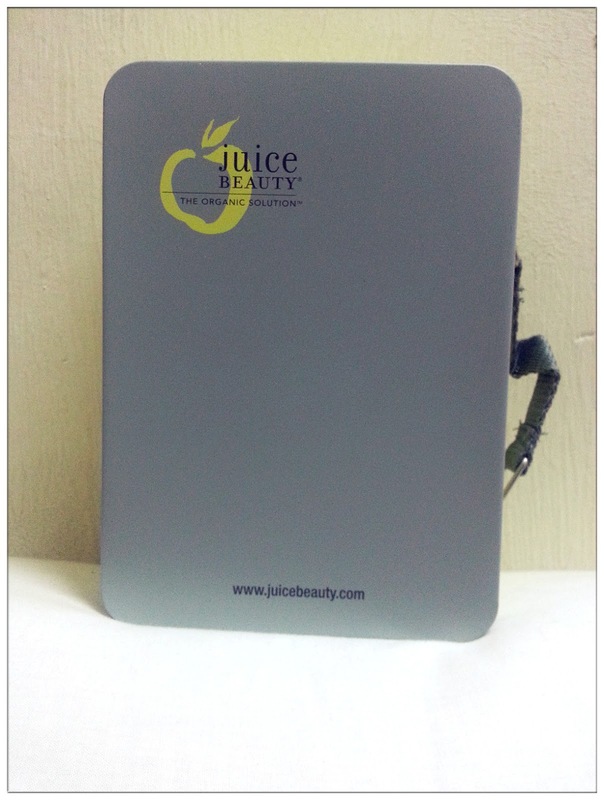 Care for your health while looking fabulous, Juice Beauty is the organic solution for beauty lovers skincare regime. For more products info about Juice Beauty, you can always refer to OnlyBeauty's website to know more, or visit Juice Beauty Official Website.